It’s raining discounts at Milan this month! Stay up to date with special discounts and sales by subscribing to our email list. We promise we’ll never spam you or sell your information. This is one downpour that you’ll want to dance in! During our Spring Showers special everyone will win 40%, 50%, or 60% off unlimited laser hair removal. And just like a good umbrella, our exclusive Unlimited Package™—which is included with every purchase—has you completely covered! 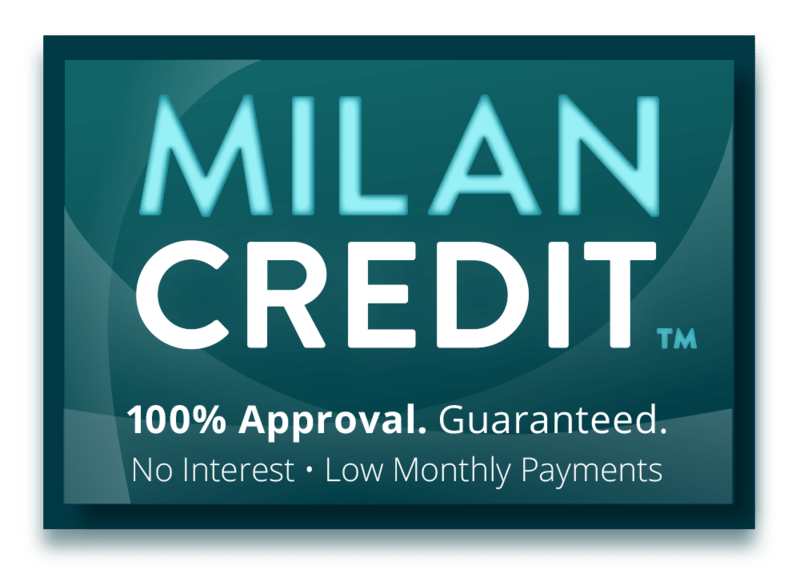 Get your Spring Showers special card by visiting any Milan near you this month. Then, finding out your forecast for savings is as simple as revealing your discount! The average person needs 7 to 10 sessions to be completely hair-free; outdated packages of 6 or 9 sessions don't produce smooth, lifelong results. The package is your Lifetime Guarantee that you’ll never pay annoying touch-up fees, or run out of sessions before your hair is completely gone. 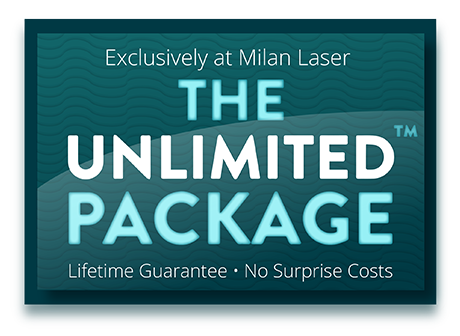 It includes unlimited sessions of laser hair removal on an area for one affordable price — for life! Your body will change. For men, you may see increased body hair growth through adulthood. For women, hormone balances change, and some (changes in activity levels, PMS, pregnancy, menopause, etc.) can stimulate your hair growth. At Milan, you’ll never have to worry about paying for additional sessions because of life’s events though. We include the Unlimited Package with every body area, so your results are guaranteed for life! affordable payment plans make it easy to afford. The cost of laser hair removal won’t break the bank! 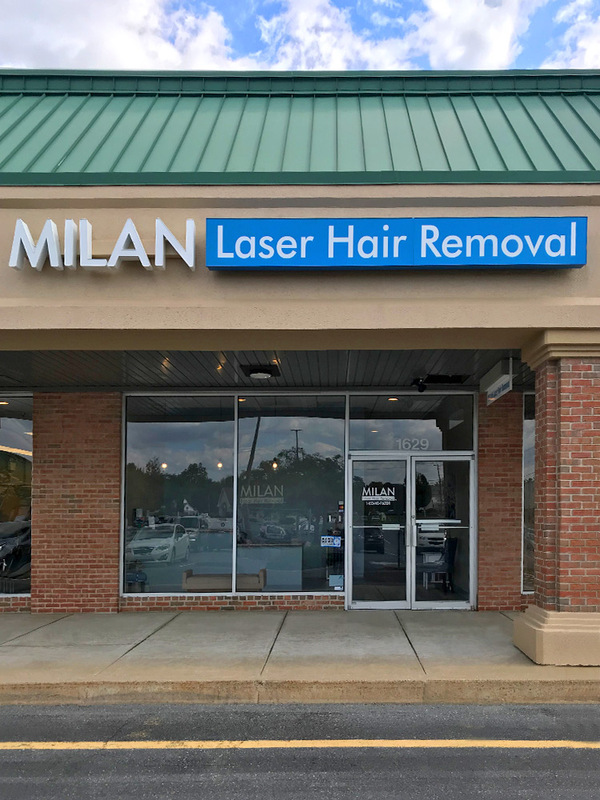 At Milan, we believe everyone deserves to get smooth, hair-free skin at a price they can afford. That’s why we offer everyone affordable payment plans! Payments as low as $29/month. The Unlimited Package™, with a lifetime guarantee. Don’t forget to check out our specials page or sign up for our newsletter for amazing deals!